Heat oven to 375°F. Add the cinnamon and sugar to a bowl, toss to combine. Slice apple into 8 sections. Add the apple slices to a mixing bowl. 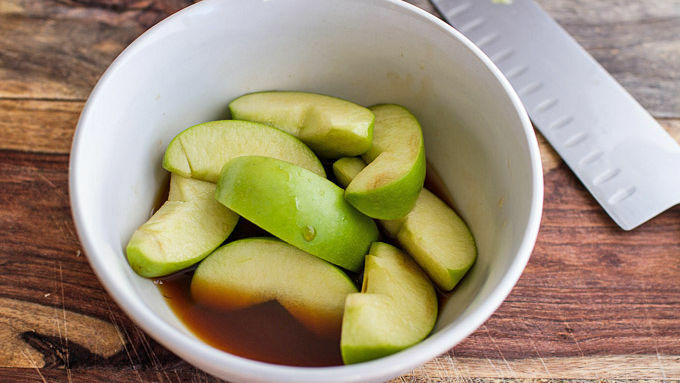 To the bowl, add the vanilla and apple cider, toss well. Open the Pillsbury™ Grands! biscuits and flatten each biscuit into a larger circle. 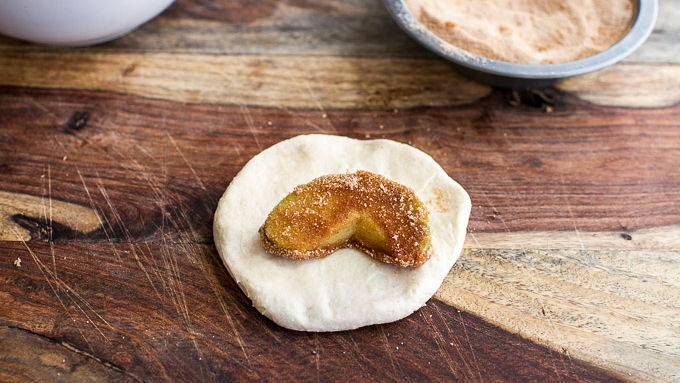 Remove the apple wedges from the cider and roll each in cinnamon sugar to coat completely. Add one coated wedge to a biscuit round and fold biscuit over turnover-style so apple is completely encased in dough. 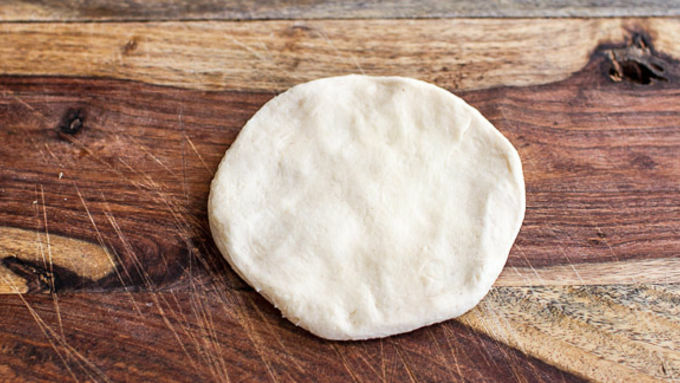 Use the ends of a fork to crimp the edges of the dough together. 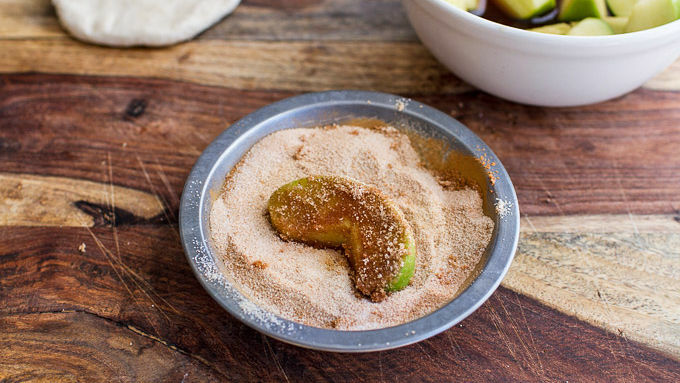 Dip dumpling into melted butter, and then roll entire dumpling through the cinnamon sugar. Place on a greased baking sheet and drizzle with any remaining melted butter. Bake until biscuits are golden brown and apple is baked, about 25-35 minutes. Remove from the oven and serve hot, drizzled with maple syrup and a side of cinnamon ice cream (if desired). *If preferred, cut your apples into thin slices or smaller chunks for easier eating. The smaller you cut the apples, the softer they will become during baking. These can be prepped in advance and then baked just before serving. The best part about the season changing to cooler weather? 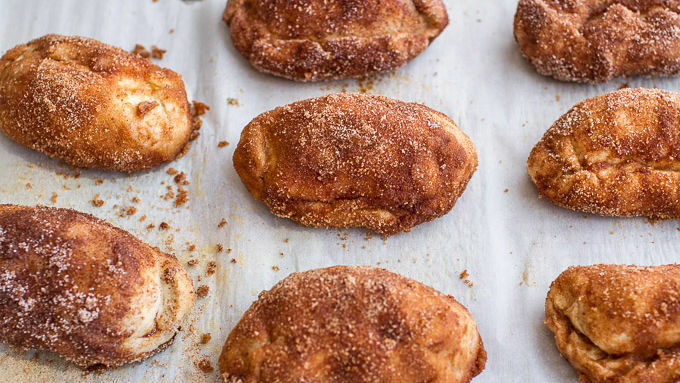 The return of warm desserts like these cinnamon-apple dumplings. It’s late October and the weather is getting colder. This can only mean one thing: Bring on the warm apple desserts! More specifically, these warm Easy Cinnamon Baked Apple Dumplings. Perfect with a side of cinnamon ice cream … doesn’t that sound good? Typically with apple dumpling recipes, you have to make your own dumpling dough. That's too much work for a busy weekday when the craving for a warm, gooey, caramel, apple dumpling strikes. Sometimes you just need the quick version – that’s what we are going for here. Pillsbury™ Grands! Biscuits make this dessert downright delicious. Flaky, buttery biscuits, cinnamon sugar, apple and more butter. Bake it all together and magic happens. The cinnamon sugar melts into the butter to create gooey caramel that is to die for. Honestly, it doesn’t get any better when it comes to fall desserts. I left the skins on my apples because I love them that way, but feel free to peel yours. 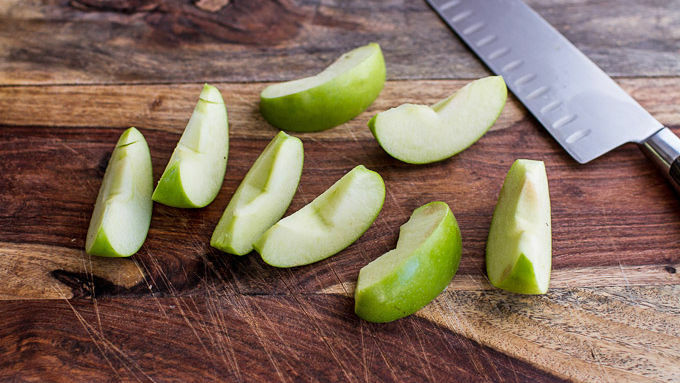 If preferred, cut your apples into thin slices or smaller chunks for easier eating. The smaller you cut the apples, the softer they will become during baking. These can be prepped in advance and then baked just before serving. 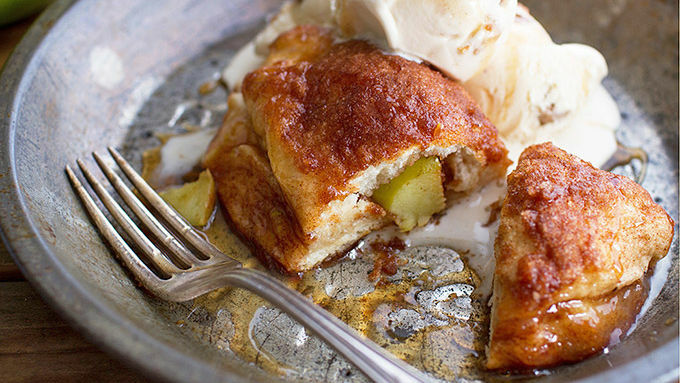 Serve hot, drizzled with maple syrup … and a side of cinnamon ice cream. Heaven!